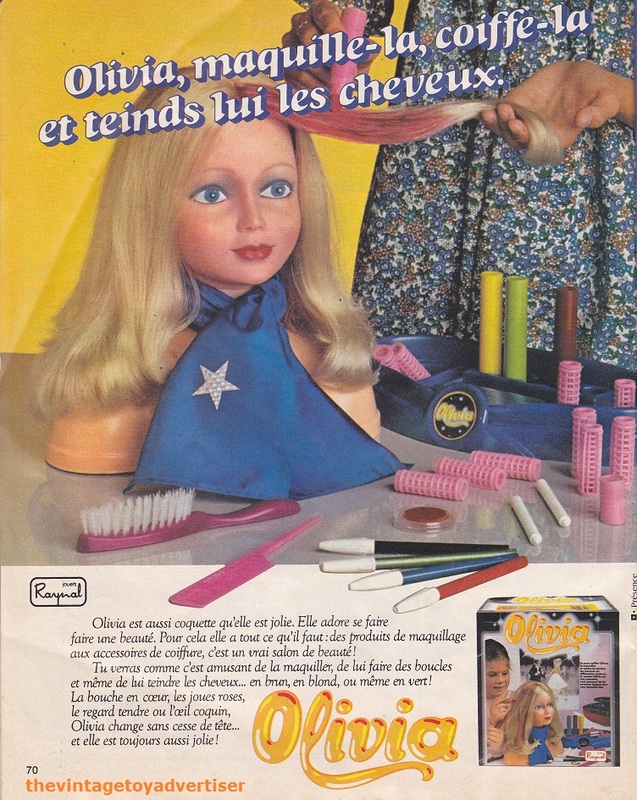 1979 French ad for the Olivia hair and make-up beauty salon. I’m not sure if these are related to the same line but they’re also called Olivia. 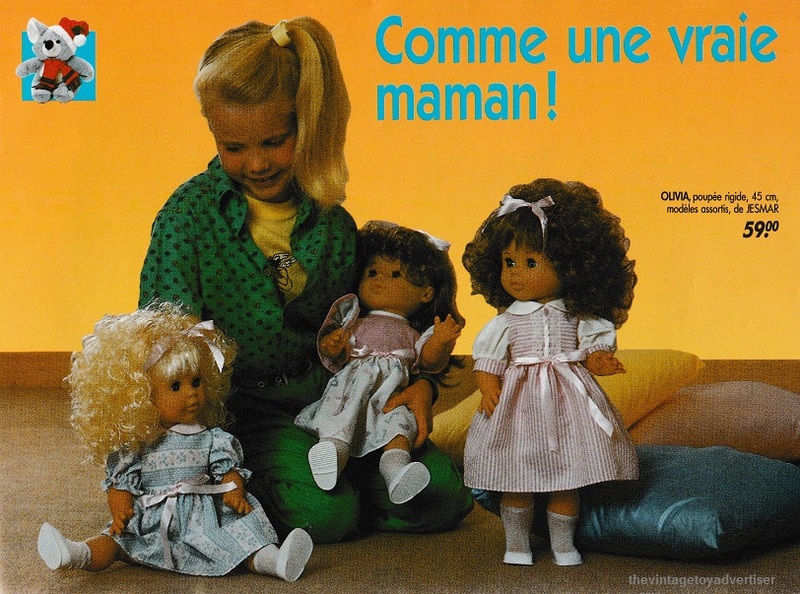 This entry was posted in Dolls and Fashion Toys, OLIVIA and tagged 1970s toys, 1980s toys, beauty salon dolls, Olivia, Olivia dolls 1980s, Olivia hair and make up doll, retro dolls heads for make-up and hair, the vintage toy advertiser, vintage toy adverts, vintage toy dolls on December 8, 2013 by The Vintage Toy Advertiser.